Revanada de Parida bread pudding, up on Kosher Like Me. Happy Wednesday everyone! In anticipation of Yom Kippur, I collaborated with my friend Liz from Kosher Like Me for a delicious, Sephardic-inspired break fast recipe. Head here to check out the recipe and the cool back story behind this Revanada de Parida bread pudding. Enjoy and may your fast be an easy one! I can’t believe that it’s already Rosh Hashanah again. As much as I love and look forward to this time of year – the crisping of the air, the gathering of family and friends, the fresh starts of the school year and the Jewish calendar – it always catches me by surprise. This past month, however, I’ve been doing a lot of thinking about the things I want to change in the next year, and one of them is to start anticipating things more. And that includes this blog! In that spirit, I’m posting this recipe with a bit ahead of time, hopefully far enough ahead that some of you may want to add it to your Rosh Hashanah menu. This dish comes from Claudia Roden’s fabulous book The Food of Spain. In the dish’s description, she explains that “this is an Easter pudding from the Costa del Azahar (‘the orange blossom coast), made with a large type of sweet orange-fleshed pumpkin.” The word for that pumpkin is the same word in Spanish for squash, "calabaza", whose slightly-modified sister, "calabasa" is the word for squash in Ladino, the language of the Sephardim. My Jewish food instincts started tingling when I read this. Not only because the dish itself is an Easter dish, which, as you may all recall, is usually around the same time as Passover, but also because upon a closer reading of the recipe, it doesn’t contain leavening agents of any type – the usual indication that it’s a Jewish dish in origin. You see, as often happened with medieval Sephardic Jewish food, the dishes that were characteristic among Spanish Jews for Passover often transitioned to being Easter dishes when the people who prepared them converted to Christianity. And as Passover and Easter fall startingly close on the calendar each year, it is very likely that medieval Spanish Christians adapted a taste for the dishes – particularly the sweets, which also occurred with other holidays, such as Christmas - their Jewish neighbors were making for Passover. This dish also originates from a region of Spain – the Orange Blossom Coast and Valencia – that was well-known for it’s large Muslim and Jewish population, both of whom have left considerable footprints on modern Valencian food (paella, anyone?). While it may seem strange that I’ve selected a Passover dish to share for the Jewish New Year, there’s actually a great deal that links this particular dish to the Rosh Hashanah season, beyond its medieval Spanish legacy. In the Sephardic tradition, Rosh Hashanah has a seder of symbolic foods, just like Passover. The foods included on the Rosh Hashanah seder plate, however, are completely different (though some may be familiar in common Rosh Hashanah observance – apples, for instance). These symbolic foods include: squash, apples, dates, leeks, beans (especially black-eyed peas), pomegranate, and – perhaps the most literal of symbols – a fish head (for the head of the year, get it?). These various ingredients symbolize all the usual Rosh Hashanah wishes: abundance, fertility, and sweetness for the New Year. In the Sephardic tradition, before each element of the Rosh Hashanah seder plate is eaten, a blessing, called a Yehi Ratson, is recited to invite blessing upon everyone for the New Year. In all, seven Yehi Ratsones are said, one for each of the Rosh Hashanah foods. Since one of the special symbolic ingredients is squash, and in the Northeastern United States beautiful butternut squashes are now arriving, I thought I’d make this dish as a bridge between my family’s New Year traditions and my love of Spanish Jewish history. (If you’re still looking for main dish ideas, see last year’s recipe for Honey-Orange-Ginger chicken, my family’s yearly standby). I'm looking forward to celebrating 5778 with these beloved traditions, both the long-established and the newly-discovered. So, there you have it, arnadí de calabaza: a seasonal, historic, and sweet addition to your Rosh Hashanah table. And with this post, I also wish all the best in this New Year to all of you, my dear readers. May you and your loved ones be blessed with a happy, healthy, and sweet New Year - shana tova umetukah! And as we say in Ladino, anyada buena, dulse i alegre! This recipe is adapted from Claudia Roden's The Food of Spain. I've kept the measurements in grams, because it yields a much more precise recipe. Feel free to increase or decrease the amount of sugar - instead of being just a dessert, this recipe can make a very nice, subtlety sweet side-dish that pairs nicely with savory dishes like brisket. Claudia Roden also adds that if you want a firmer arnadí, you can substitute some of the squash for sweet potato. And my last suggestion: make sure you cook all of the liquid out of the squash! It can be deceptive, but it releases a lot more moisture than you expect. And if it's not exactly a pyramid, don't worry, it'll still be delicious. Serves 8 - 10. In a wide saucepan, put the water and the squash chunks, and cook them over a low heat, tightly covered, until theu are steamed through and soft, about 15 - 20 minutes. If the water evaporates too quickly, add a little more and lower the heat. Once soft, drain the squash and mash the flesh with a potato masher. Return the mashed squash to the heat and continue to cook, uncovered and stirring, over a medium heat for about 5 minutes, or until most of the liquid has evaporated. Once the liquid has evaporated, stir in the sugar. The squash will release a great deal of liquid when you add the sugar. Continue to to cook the sugar-squash mixture until nearly all the moisture has evaporated, stirring frequently to make sure that the purée doesn't burn. This can take anywhere from 15 to 25 minutes (it took me about 30!). Remove the pan from the heat and add the ground almonds, eggs, lemon zest, and cinnamon. Mix very well to incorporate the ingredients. Scrape the squash and almond mixture into a round shallow baking dish (a clay cazuela is traditional) and shape it into a pyramid. Push the blanched almonds halfway into the mixture on their pointed ends, to form lines down the sides of the pyramid. Dust the pyramid with the 2-3 tablespoons of confectioner's sugar. Bake the pyramid for 50 minutes, or until firm to the touch (it can take up to an hour or so, as it did for me). Let it cool, dust with more confectioner's sugar if you'd like, and serve it at room temperature with your Rosh Hashanah meal. Enjoy! Hello dear readers! I know it’s been quite a while since I last posted (almost three months now… yikes), for which I sincerely apologize, but I’ve been traveling to some amazing places and learning lots of cool new information that I’ll be sharing with you all over the next few weeks. The Cathedral of Burgos in all its Gothic glory. One of the city's Islamic gates. The Gothic Monasterio de las Huelgas. Of the trips I’ve taken in the last few weeks, I want to tell you today about one in particular: my trip to Burgos. This ancient city is the capital of the Burgos province, as well as one of the most important cities in the long history of the region of Castilla y León (here’s a map to give you an idea of where it’s located) and Spain in general. (Soon you can read more about it in the Travel section above!) As with many other Spanish cities, Burgos has seen its fair share of Muslim and Christian rulers; British, French, and Roman conquerors and soldiers that have trodden its hills; not to mention the ancient hominids that walked its grassy plains. But to me, Burgos stands out from other Spanish cities in the way it wears its millenia-long history: no matter where you go in this city, you can see the layers of its past. In that way, Burgos offers so much to the average visitor. It’s basically a microcosm for Spain’s entire history in one place. I went to Burgos for the Fulbright program’s mid-year seminar. When we all arrived, we were greeted with a lovely welcome gift of red beans that are produced in the region and, of course, morcilla burgalesa (for the meat eaters among us). 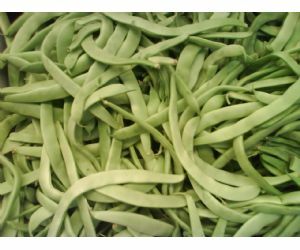 For just a moment, I’m going to explain the interest and importance of these two foods, as they have a great deal to do with the dish I have for you today. I’ll talk about the beans, which are specifically alubias rojas de ibeas, in a little bit, but let’s focus on the morcilla right now. For those readers who do not know, morcilla is a cured sausage made with pork meat and the blood of the pig – two products that come out of the traditional Castilian matanza (basically a big family party in which an entire pig is slaughtered and various products are made from its every part), and the both of which are suuuuuper treif (non-kosher) and often included in the classic dishes of the region. The Burgos version includes rice in its filling. Alright, you ask, what does this have to do with Burgos? Well, quite a lot actually. Back in the Middle Ages, the city of Burgos was home to one of the most influential Jewish populations on the entire Iberian Peninsula. Even though the city was founded at the end of 9th century as a frontier town of the reconquering Christian rulers of the north, and was a preferred seat for Castilian crown family (including the infamous Isabel la Católica of Castile, who expelled the Sephardic Jews from Spain), there was always a sizable and influential Jewish community in Burgos. I was lucky enough to get the chance to explore the remnants of Burgos’ old Jewish quarter (which I will explain in greater detail in my next post), which produced industrious merchants, talented artisans, and, notably, advisors to the Catholic Castilian monarchs (including Isabel la Católica). In short, many important historical Jewish figures who contributed a great deal to the medieval history of the Iberian Peninsula. 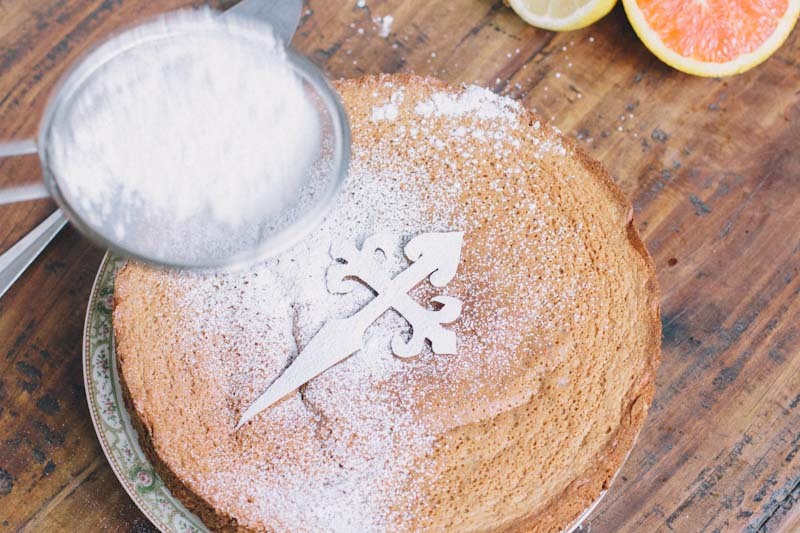 Thus, I decided to make a recipe to honor the vibrant Jewish history of Burgos. The dish is a Sephardic take on the Burgos classic of olla podrida. The dish’s name literally means “rotten pot,” though according to the Diccionario Real de la Academia Española, olla podrida is a dish that, “aside from the usual meat, bacon, and beans, contains poultry, cured meats, and other succulent items.” Essentially, the typical olla podrida of Burgos is a long-simmered stew of non-kosher meats and beans, the key ingredients being the beautiful red beans and morcilla I mentioned earlier. During the time of the Inquisition, this stew became one of the ways that the recently converted judeoconversos (Jewish converts to Christianity) of Burgos could prove their commitment to the new Christian faith – through eating lots of non-kosher meat, of course. While it’s delicious, I thought I’d forego the morcilla for a more kosher-friendly alternative to honor the Sephardic past of Burgos and the dish: swiss chard. Swiss chard and beans (certain types of beans are called judías, the word for Jews in Spanish – I’ll write more about this soon), incidentally, were thought to be two of the most characteristically “Jewish” ingredients in medieval Spain. Simmered slowly for hours with garlic, onion, bay leaf, and a hefty pinch of salt, these delicious red beans – which surely were a favorite of the Burgos Jewish community – become silky smooth and release a richly colored broth. Definitely a delicious tribute to the equally vibrant Jewish community of Burgos. This is a great make-ahead weeknight meal, best served with a vinegary salad and lots of crusty bread to soak up the delicious bean broth. Though it may seem strange to not soak the beans overnight, there’s really no need; after several hours simmering on the stove you’ll have a flavorful dish without the extra work. Just please don’t use pre-cooked beans; it won’t taste nearly as good. Serves 4-6. Rinse the beans, removing any stones. Set aside in a colander to drain. Heat the olive oil over medium high heat in a 6-quart sauce pan or pot. Once it shimmers, add the red onion and sauté until they are softened, about 3 minutes. Then, add the three whole garlic cloves and cook for 3 more minutes. Next, add the bay leaves, za’atar or oregano, and cumin seeds and cook them for another few minutes so they toast and release their scent, about 2-3 minutes. Add the rinsed beans with a teaspoon of salt and ½ teaspoon freshly cracked pepper and sauté them, stirring to coat the beans in the aromatics, about 2 minutes more. Add enough cold water to twice-cover the volume of the beans. Simmer, covered, for 2-3 hours, occasionally checking the done-ness of the beans. They are fully cooked through when they are tender but still hold their shape. 15 minutes before they are done, maintaining the heat of the stove at the same level, add the chopped swiss chard with an extra pinch of salt. The chard will release a touch more liquid, which will cook down as it wilts. Once the swiss chard is fully wilted, serve the dish hot with plenty of crusty bread or make ahead and reheat. It will keep in the fridge for up to two weeks and the freezer for about a month. As I mentioned in my previous post, a few weeks ago, I visited the town of Ávila with a group from the Reform Jewish community of Madrid. We were invited by the Spanish government to take a tour of the old judería, or Jewish quarter, of the city, and to Ávila’s original copy of The Alhambra Decree, which expelled the Jews from Spain in 1492. So, up we drove an hour and a half to the northeast of Madrid to discover what we could of Ávila’s Jewish community. Seeing the Edict of Expulsion was – to say the least – extremely moving. Ávila is one of the few Spanish municipalities that still possesses its copy of the original document, withstanding the tests of time that have taken the other copies out of existence, such as fires, light fingers, and simple neglect. Indeed, the fact that Ávila still has its copy underscores the unique relationship the city has always had with its Jewish community, both past and present. It is this relationship that is embodied in the well-known figures of Saint Teresa and Saint John of the Cross (San Juan de la Cruz), both of whom came from converso (Jews converted to Christianity) families, not to mention the famously infamous Tomas de Torquemada, the Grand Inquisitor of the Spanish Inquisition. It is a relationship that is also reflected, interestingly enough, in the very urban structure of the city. Of Ávila’s many delightful features, the most obvious, and frankly impressive, one is the wall that encloses the entire antiguo casco, or old quarter, of the city. According to the site dedicated to the wall (http://muralladeavila.com/es/) it was founded in the 11th century to protect the territory from invading Moors. Ávila is the only Spanish city that boasts its entire original wall, which, along with the entire old quarter of the city and the Romanesque churches that were built just outside its walls, can be found on the list of UNESCO World Heritage sites. In medieval Spain, Christian rulers tended to delineate a Jewish quarter outside of the walls of the main city. As Fernando Aznar explains, though this intentional separation was a way of controlling the Jewish community, it was also mostly a practical move for taxation purposes: every Jewish household was required to pay a head tax to the ruler and church in exchange for free practice of a minority faith. Traditionally, these juderías would become focal points of commerce outside of the city wall. 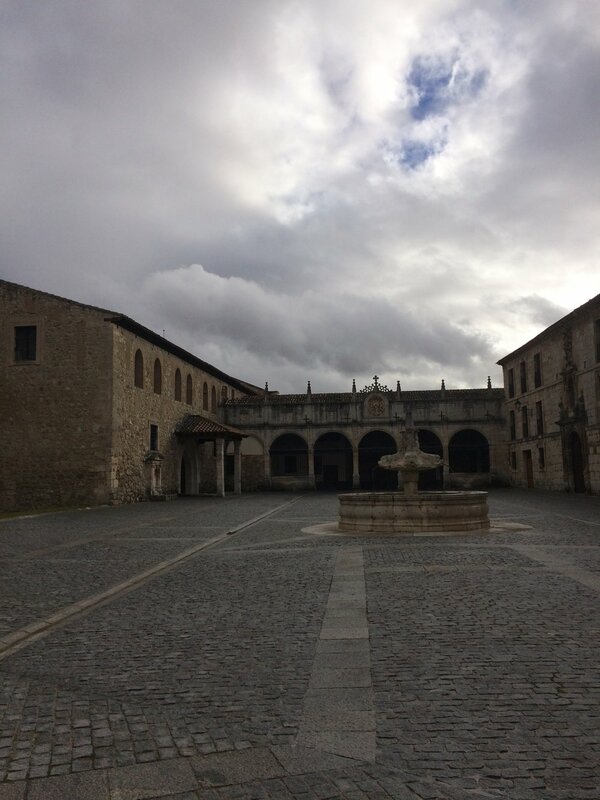 Yet, unlike so many other cities, in Ávila, the judería was located inside the city wall: “they were installed in the center of the city for maximum efficacy for their business. Their neighborhood par excellence before the obligated separation (when the ghetto was established in 1412) was located between the Juradero, in San Vicente, the Central Market, and the Little Market. [se instalaron en el centro de la ciudad para mayor eficacia de sus negocios. Su barrio por excelencia, con anterioridad al obligado apartamiento, era entre el Juradero, en San Vicente, el Mercado Grande y el Mercado Chico. ]” (from http://www.avilaturismo.com/es/que-hacer/avila-judia). This excerpt shows that it wasn’t until later that the Jewish community was forced to live in a reduced area outside the city walls – in fact, it wasn’t until the 15th century, with the growing resentment toward the Jewish community that that century brought, that the Jews had to live outside the city wall. The Sephardic community has a long-standing presence in Ávila: although the first real documented mention of the Jewish community appears in 1144, many historians speculate that the Jewish presence in the city goes back even further. 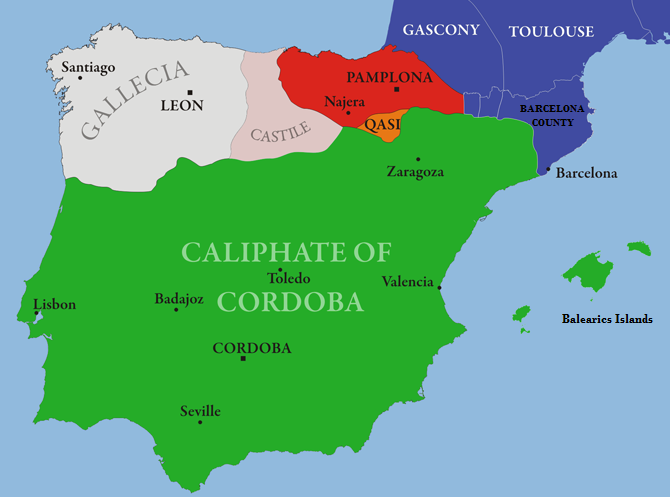 During this early medieval period, the city “was considered a no-man’s land, a border between the Muslim and Christian kingdoms [fue considerada tierra de nadie, frontera entre los reinos cristianos y musulmanes]”; in other words, Ávila was an interstitial space in the ever-shifting religious map of Spain, one in which Christian and Muslim influence vied for superiority, a territory in which the Jewish community was always treated reasonably well. And the location of the Jewish community within the city wall physically underscores their symbolic position in the society of Ávila. It is just this symbolism that inspired this week’s dish: Pimintones Reynados. Though in origin they come from the Sephardic communities in diaspora, I thought they reflected the theme of this week’s post well, especially since the peppers themselves create a “wall” around the filling they encase. Coincidentally, in Ávila I lunched on a dish of stuffed peppers, which though they very similar in appearance to these pimintones, they were totally different in taste – an appropriate metaphor, in my opinion, for the differences between the medieval Christian and Jewish communities. Try them and let me know what you think! This recipe is pretty easy - just make the filling, briefly boil the peppers, stuff them and into the oven they go! You can find recipes for stuffed peppers in almost every culture, including Spanish, Turkish, Mexican, and more, but these can be defined as specifically Sephardic as a result of the generous amount of parsley and healthy squeeze of lemon juice in the filling that gives these peppers their unique, slightly tart taste. Heat 3 tablespoons of olive oil in a 4-qt saucepan. Add the onions and sauté for 2-3 minutes until softened. Add garlic and cook 5-6 minutes more, until onions are slightly caramelized and the garlic is fragrant. Add chopped tomatoes and cook for another 3-4 minutes until the tomatoes release their juice and it concentrates. Stir in parsley and cook 2 minutes more. Next, add rice, sugar, lemon zest, salt and pepper. Stir and let the grains cook for a minute before adding the water. Bring mixture to a boil and then turn down to a simmer and cover. Let cook for about 15 minutes, or until all the water is absorbed into the rice. Meanwhile, cut the tops off the peppers and de-rib them. Put a large salted pot of water to boil. Once the water boils, submerge the peppers for 3 minutes. Strain and set aside in a ovenproof baking dish. Once all the water is absorbed, fluff the rice with a fork. Stir in raisins, almonds, and lemon juice. Generously stuff the peppers with the rice mixture and replace tops. Drizzle the peppers with remaining 2 tablespoons olive oil. Place in oven and bake for 20 minutes, until rice mixture is heated through. Then, switch to the broiler function of the oven and broil the peppers for 10 minutes, or until their skin starts to blister and char and the filling browns slightly. Serve sprinkled with extra parsley and lemon wedges for garnish. Note: I wrote this piece the day after Donald Trump was elected president and posted it on my Facebook profile. Due to the overwhelming response, and because I still feel as strongly now about what I wrote two weeks ago, I'm posting it here for posterity. That being said, I have made some minor edits to this piece to make it more appropriate to a non-Facebook format. I hope you enjoy it, or at the very least, engage with it - please don't hesitate to let me know what you think. And, on a brighter note, I've got more recipes coming soon. xo, S.
On Wednesday November 9th, 2016, the day that Donald Trump became the next president of the United States, I was in Ávila. I was there to see a copy of the Edict of Expulsion of the Sephardic Jews from Spain in 1492, also known as the Alhambra Decree. For those who know me and know the work I do as a Fulbright scholar, this date and, more precisely, this document, are extremely significant: they are, materially, why I study what I study and do the work I do. But even more than that, seeing this copy of the Edict – a parchment transcription of the text expelling the Jews, addressed to the municipality of Ávila and signed by the Catholic monarchs - illustrated for me in painfully ordinary detail what Hannah Arendt called the banality of evil. It was and is just a letter – one with a royal signature and seal, but still, in a way simply a glorified note. And yet it initiated one of the most traumatic dispersions within the greater Jewish diaspora – one that, to this day, people recall with anguish as they invoke Ladino refrains and pass on the antique keys that unlocked their Spanish homes – and that had a tremendous impact on the medieval world (and therefore, our modern one). There were grooved creases running through the center of the page where it had been badly folded and fading words where the ink wore off through the years; the document could so easily be ripped or torn by the lightest touch. It was almost laughable how hate and oppression could take on such an unassuming, now fragile form. And yet, there was an appropriate, painful irony to seeing this edict particularly on the day that the most bigoted, racist, sexist (the "ist" list goes on) candidate - one who I never imagined would be elected - was voted into the office of president of the United States. On the one hand, the very thing that this document enacted – the mass expulsion of a group of people predicated solely on their ethnic definition – is exactly what Donald Trump has proposed multiple times in his campaign, regarding countless groups of people, in nearly the same language (even despite the Edict of Expulsion being written in medieval Castilian). The Catholic monarchs expelled the Jews because of their “corrupting influence” on new Christian converts, their “concerted” effort to rob Old Christians of economic opportunity, and because of what the Catholic monarchs perceived as their maliciously closed off community. The language sounds all too familiar, just instead of Jews, Trump has referred to Latinos, African-Americans, women, and so on. It became starkly clear to me that even though the edict is 524 years old this March 31st, and was only officially revoked in 1968, its main sentiments of fear and scapegoating carry on; especially as embodied by those people in our country who seek to demonize, oppress, and expel others. In a twist of cruel irony, it uses nearly the same rhetoric in 1492 as the Trump campaign did in 2016, enacted into existence by the absolute power of monarchy. It seems to me that that is exactly the type of power Trump would like to have as president. That brings me to what’s on the other hand, because 288 years ago, another document was signed into existence: the US Constitution. It is a document that affirms the rights of all people, no matter their race, religion creed, gender, age, sexual orientation, or political belief, to live and participate in the democratic process. It is a yellowed parchment testament to the value and validity of each individual’s lived experience. While the original document, I’m sure, is just as fragile as that of Ávila’s Alhambra Decree, it expresses exactly the opposite sentiments of the Edict of Expulsion. Even in its most basic language it’s completely different: those famous first three words of “we the people” stand in stark contrast to the introduction of the Edict’s “King Ferdinand and Queen Isabel, by the grace of God.” And that image, that represents exactly the opposite of the Alhambra decree, is that of the United States in which I firmly believe. It is the picture of a vibrant, diverse country of dynamic, intelligent people seeking, growing, innovating, and engaging profoundly with questions and the problems with which they are presented. It is a country of acceptance of difference, no matter how difficult or uncomfortable that coexistence may be. A country that does not push out people simply because of some arbitrary categorization or the belief in their inferiority. It is a country of love, not hate. Essentially, and intentionally, everything medieval Spain was not. In the last 150 days of this election cycle, and even before that, I have looked around my communities - on Facebook and real life, in the United States and abroad - and all I have and continue to see are whip-smart, complex, active, passionate people who want and work to make the communities and lives around them better. People of the 21st century with a modern, and yes, even millennial, sensibility that I believe emphasizes the “we” over “me.” And knowing that they – you all – are out there gives me such profound hope I can't adequately express it. At the end of the day, I see people loving each other, embracing difference – choosing the “we the people” of our Constitution over the “I, the King” and “I, the Queen” of the Edict of Expulsion (and, let’s be real, the Trump campaign). We in the United States are lucky enough to have a document that openly, explicitly advocates for equality and the valuation of each individual perspective. I’ll be honest, I’m pretty devastated Donald Trump is our new president. And it’s hard to accept this decision without deep sadness and anger on my part. But I have a deep faith in the way our political system peacefully transitions from one presidency to the next, no matter how disparate their political ideologies may be or how uncomfortable that transition is. A value enshrined by our governing Constitution. So, rather than letting this electoral decision define my next four years or, even worse, allowing it to create hate or anger in my heart – the type of hate that leads to documents like the Edict of Expulsion – I’m making the active choice to accept the election of a political ideology that is very different from my own. At the same time, I choose to advocate every single day of the next four years and beyond for the vision of the United States that I believe our Constitution sets out – one that enables the coexistence of different ideologies and experiences for the greater good of all – to not let us fall into the trap of hatred of the other that permitted the existence of the Edict of Expulsion. I choose to hope, and I hope reading this might help you choose it too.